Rancho Santa Margarita is an affluent city in Orange County, California. One of Orange County’s youngest cities, Rancho Santa Margarita is a master planned community set upon rolling hills. Most neighborhoods in Rancho Santa Margarita are within various homeowners associations. On July 23, 1769, they were visited by a Spanish expedition under Captain Gaspar de Portola, who camped near the site of Tijeras Creek Golf Course in Rancho Santa Margarita. The Mexican governors carved the area around the mission into three large ranchos: Rancho Trabuco, Rancho Mission Viejo, and Rancho Santa Margarita. James L. Flood and his partner Jerome O’Neill purchased the combined ranchos in 1882. The huge estate was run as a working ranch into the 1920s. In 1940, the ranch was divided, with the Flood family taking the lower portion, in today’s San Diego County, with the upper portion retained by the O’Neill family. In 1942, the Navy annexed the Flood family’s portion of the ranch for use as Camp Joseph H. Pendleton. By the 1960s, a rural cluster of homes had been present in Trabuco Canyon for decades. The area’s first tract developed homes didn’t arrive until late in the decade in what would become Coto de Caza, which started out as a hunting and fishing resort. The area remained fairly remote until 1986, when the first homes in the new master planned community of Rancho Santa Margarita were sold. The economic boom of the 1980s also fueled home construction in nearby Dove Canyon, Robinson Ranch, Wagon Wheel and a handful of smaller developments. The area became better linked to the rest of the county in 1992, when extensions of Oso, Antonio and Alicia Parkways were completed. In November 1999, area voters opted to incorporate the Rancho Santa Margarita Planned Community and the neighboring Robinson Ranch, Dove Canyon, Rancho Cielo, Trabuco Highlands and Walden Communities. The newly formed City of Rancho Santa Margarita incorporated on January 1, 2000, and became the 33rd city in the County of Orange. 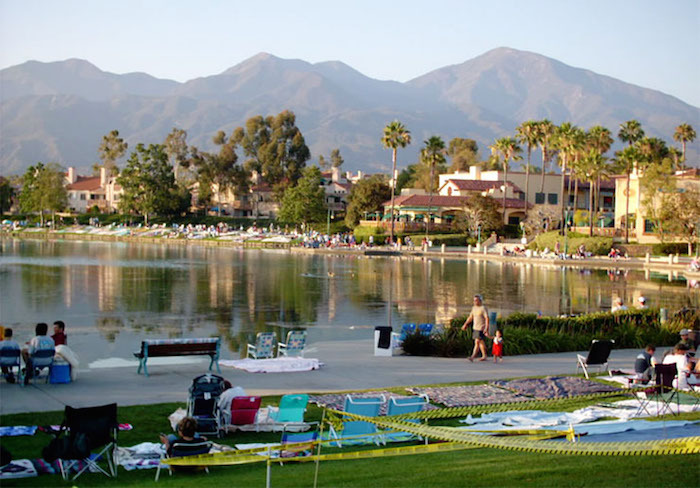 The population of Rancho Santa Margarita, CA was 47,853 at the 2010 census.